Ata Demirer’s show, combining comedy and music with casino culture – will be staged at the ‘2Mart harta Concorde Show Center. 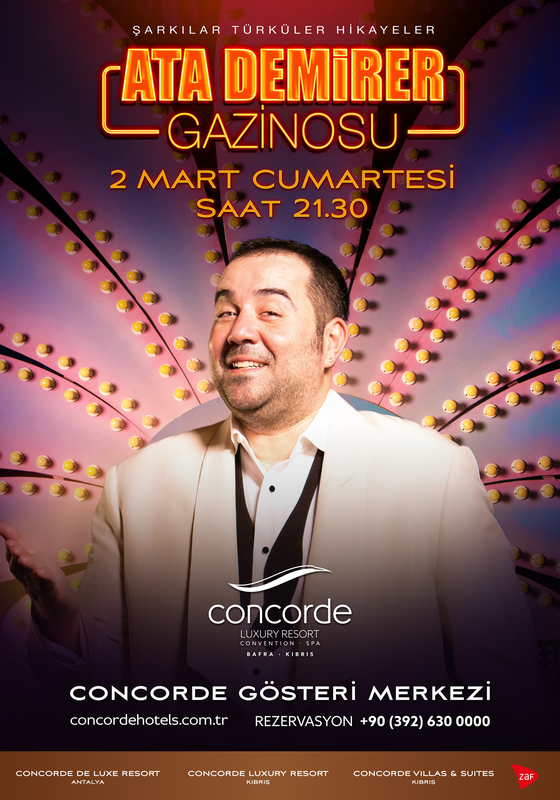 Concorde Luxury Resort, which has been established in Cyprus by Zafer Construction Investment Holding, which has experience in the tourism sector, continues to be the address of the people who are looking for a holiday and entertainment together. Concorde Luxury Resort hosts the first luxury Villa concept of Cyprus as well as the wide variety of modern lines, architectural structure, activities and the wide range of living spaces offered to the guests.